Last night I was fortunate enough to have the chance to play a couple of games of Dwarf Kings Hold - Dead Rising with my good friend Mark. We played the 1st scenario twice, each playing both sides. We probably would have played for longer but the Memsahib's were getting bored and we were getting pretty drunk so we stopped there. I was pretty impressed by the whole game. The only real criticism is that the miniatures don't come with the bases that they need. For the sake of a few pence Mantics have left things a little incomplete in my humble opinion. This is overall a very good game. It's good value for money and fun without the overly complex gameplay of say Dreadfleet. I'd watched the gameplay demo on Beasts of War during the day and by the end of the first game we had a good grasp of the mechanism. It works rather well. It was interesting that the Undead were victorious in both games. 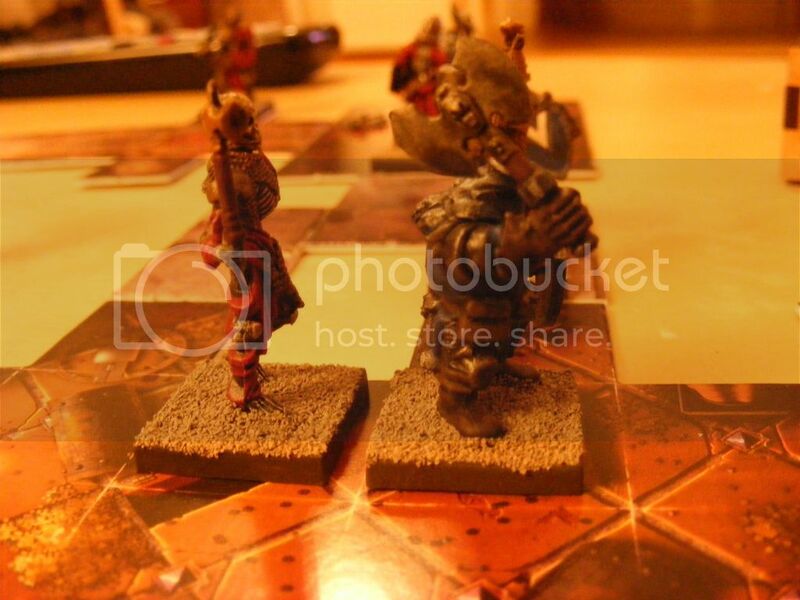 However, I reckon that the Dwarves could have won, we were both a bit unlucky whilst playing the stunty side. I still need to be convinced that elves and orcs have a place to play in a dungeon game but I will be adding the Green Menace to my wishlist with the rather excellent Wayland Games. Oh and then I'll probably also buy the 3rd game in the series too. I won't be rushing out for these but I certainly wouldn't be upset if they arrived for my Birthday or Christmas! 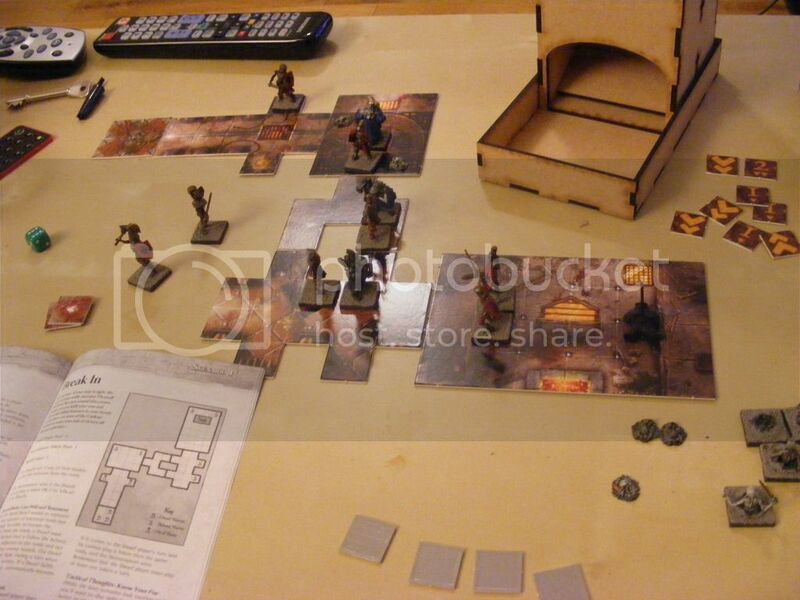 I probably won't buy the dungeon monsters pack though as I reckon I have enough of those miniatures knocking around the house to not need this particular set.